You probably want to know the legal seafood crab cakes recipe if you are trying to make one at home. Although the crab cake has been sold in many places and many cities, why not saving money and make one your own? Sure, you can read culinary reviews and visit some of the places popular by making the tasty cake, but if you are able to make one by yourself, not only you can save up money, you can also make some changes suitable for your condition, and also your family. If you think that cakes are only about flour, egg, and chocolate, you should probably try this crab cake. After all, the addition of meaty protein can be a great source of vitamins, minerals, and nutrients for your consumption. Not to mention that it has the unique taste and appearance that makes it mouthwatering and appealing. Some of the places in the big cities have claimed that they sell the original recipe, but since there have been a great variation and change to the recipe, you can’t really sure about it, can you? It shouldn’t be a problem, though, because the cake has been wonderful and also healthy at the same time. One characteristic of this cake is the perfection of crab meat that will be seasoned with all the right ingredients and formed in a lump. It should be melting in your mouth for a greater perfection. In most cases, a pack consists of two cakes and it costs around $25 per pack. If you know the legal seafood crab cakes recipe, consider how much money you can save on your part. So, how do you make one, actually? The recipe is pretty simple, really, but you need to prepare the ingredients thoroughly and make sure that they come in the right measurement and combination. You need a teaspoon of dry mustard along with half teaspoon of horseradish and also half a teaspoon of Dijon mustard. You also need 1/3 cup of mayonnaise, half cup of saltine cracker (be sure to fine crush it), and also one egg that has been beaten only slightly. To complete the legal seafood crab cakes recipe, you need a slight of Tabasco and also a slight old bay seasoning, along with 12 oz of lump fresh crab meat and a little Worcestershire sauce. First of all, mix mayonnaise and mustard, and add a little hot pepper. After the mix is done, add horseradish, Tabasco, Worcestershire sauce, egg, and old bay seasoning. Make sure that everything is mixed well. Add the meat crab and stir. Add in the crackers and your mixture is done. Put it in the refrigerator for at least an hour. Longer is fine but not the entire day. Preheat the oven and then bake for around 20 minutes to 30 minutes until the cake turns golden brown. The result should be crispy on the outside but soft and moist on the inside. The recipe isn’t difficult and it doesn’t extra-long hours to prepare. 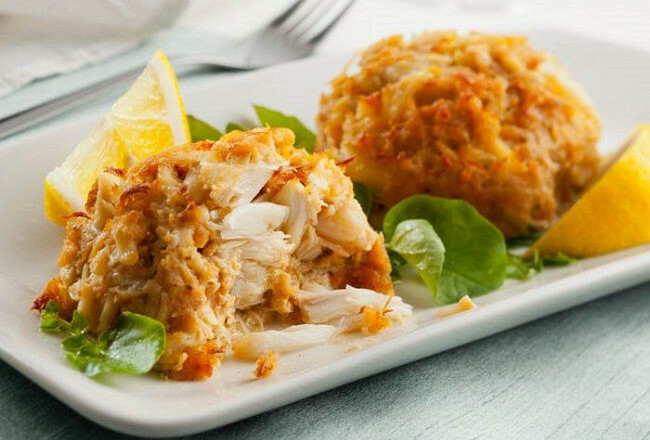 If you really want to pamper your family, find the legal seafood crab cakes recipe and make your own experiment. Related Post "Legal Seafood Crab Cakes Recipe and the Unique Flavor"